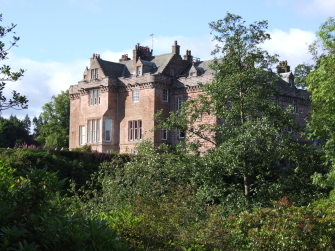 Sorn Castle was used as a garrison during the years of the Covenant. A number of martyrdoms were executed by soldiers from the garrison, including William Shillilaw, and George Wood. 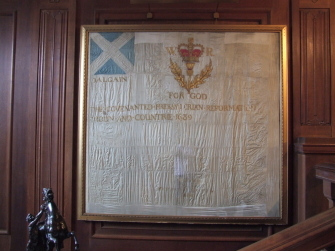 In the castle can be seen the Sorn (Dalgain) parish Covenanter Flag, shown below.